megstone64 | Learning at its best! At the beginning of the school year students and educators alike all begin with lots of energy and excitement. Then by the end of term we are all tired, in need of rest and recuperation…running on empty. So how does this change occur and WHY? – All students now independently enter our school autonomously so as to foster the capabilities of each individual child and allow them to relate and communicate with others in the school community. This occurred after much preparation, which included sharing articles with families, having open discussions with both students and their parents. This preparation took place over the first couple of weeks and then with support from both staff and parents, the students took a leap of faith and began entering the school by themselves taking on the responsibility of carrying their own bag and organising themselves in readiness for a full day of learning. -Another change has been the introduction of student diaries from stage 1 upwards. This is to enable students to take on the responsibilities of remembering all the items they require to organise their own learning and share information between school and home. 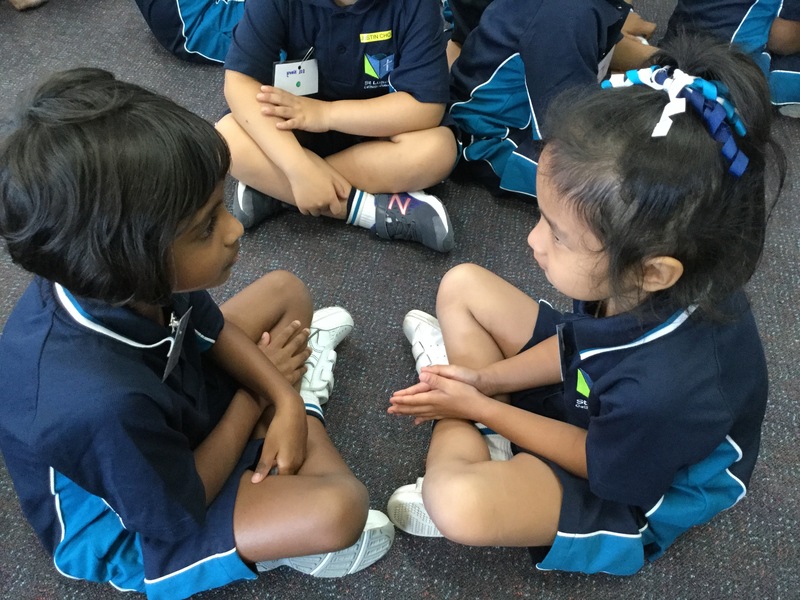 – Every day begins and ends with a reflection on the social skills that we are focusing on for that week and that is connected to our school pillars. Dependent on the social skill and the unique needs of the students the activities could include making posters (paper or digital), viewing stories, having open discussions within small groupings, dramatisations or even unpacking what a particular skill may look like, sound like or even feel like. Students then decide on their own personal goal for that week which is recorded in their diary. Every Friday these goals are reviewed by the students and then cosigned by a teacher to acknowledge the efforts the students have applied during the week. -This term has also seen the introduction of ‘Tribes’ where the students gather in small groups to say prayer, reflect on and discuss the weekly social skills. Staff are then able to mark the class rolls while encouraging independence of each individual child who is learning to work cooperatively within a small group with a focus on the pillar of Witness, Managing themselves and Relating to others. The students then changed groupings, often moving to a different learning space in readiness for the literacy or numeracy blocks. -Since the beginning of the year students and staff have worked hard to get to know each other and build new friendships. There were many new students to St Luke’s Catholic College, as well as those students who moved up to stage 1 at the beginning of the year from ES1. -Technology; this term students have used iPads, Ozobots (coding), Chrome books to support their learning and share their thinking. Students have taken on the role of ‘teacher’ sharing their skills of expertise in utilising apps on the iPad to enhance learning. 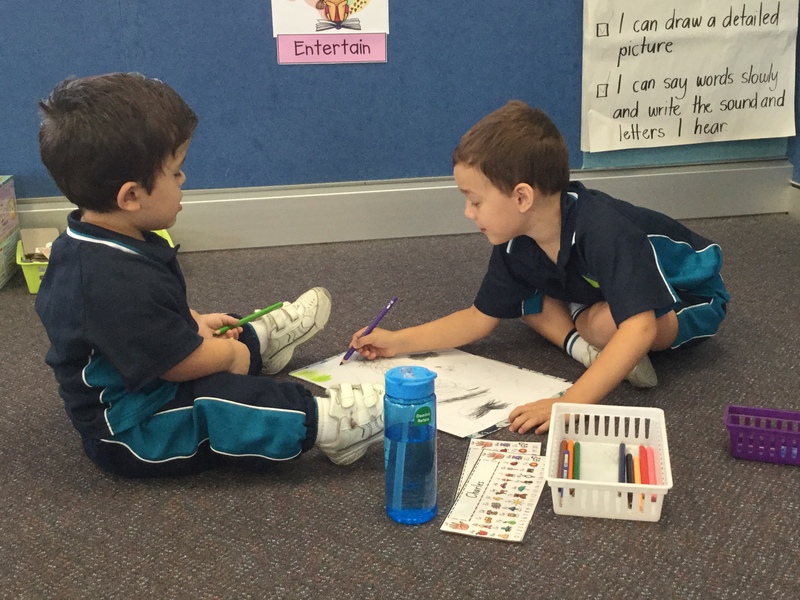 ‘Busy’ is a word that comes to mind but doesn’t do actual justice to the valuable learning opportunities that have occurred this term in stage 1. 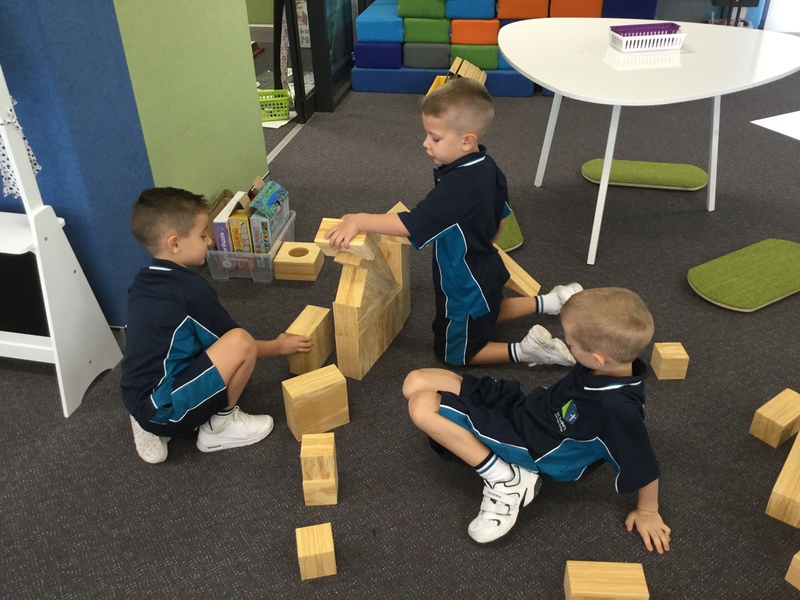 -In weeks 10 – 11 all the resources had to be reviewed, then packed up and moved to our brand new learning spaces in the newly completed “School of Foundations”. The excitement may have become less apparent but the joy of seeing the students grow and become increasingly more independent and capable is a continual element of my teaching day and brings a smile to my face. Energy levels are currently depleted but easily fixed by ensuring that part of the school holidays is spent focused on well being. These holidays are extra special as they include Easter and the gift that God gave to us all, His only Son, Jesus. Changing gears…in learning, teaching and life! When we begin driving we display an ‘L’ plate and then after some experience behind the wheel we work our way to a ‘P’ plate. Then finally the day arrives when you are a fully qualified and recognised driver with a full licence…you feel excited, exhilarated with this newly acquired freedom. Well for me this equates to my journey in learning, teaching and life except that the cycle is never ending but in fact a continuous circle. At points along the continuum I may be wearing an ‘L’ plate or in fact have moved so far along that I have my full licence. Right now I’m still very much on my L’s with moving into a NEW Stage for teaching, NEW grade partners, a NEW building, a NEW leadership role and a change in family dynamics….yes a lot of changes in a very small amount of time. Suddenly I understand more fully the impact of change that our students experience at the beginning of every NEW year where they meet NEW teachers and peers. So now I’m a Stage One teacher and there are quite a few students in my group that I taught either last year in ES1 or the previous year when they were in my ES1 class. Those students that are now in their second year (Yr 2) of Stage One are displaying their ‘P’ plates as they confidently take on the challenges of learning and growing in Stage One. However, as I watch the newest members of Stage One (Yr 1) they, like me, are very much wearing their ‘L’ plates. We all need some time to readjust and find some new friends and trust in our own abilities as learners that what we see as challenges right now will become less frightening and with some creative thinking and innovative problem solving will eventually become our strengths. Having an awareness has made me realise that these students will require extra support at times when they are feeling overwhelmed and just like adults, they need to be acknowledged when they are doing their best. I feel so proud of all my students as I watch them grow and at times struggle to move from L plate to P plate and then continue to strive to attain a full licence….the possibilities are endless. My colleagues and students give me inspiration and it’s through them that I knew it was time for me to try a new pathway….this year sees me also taking on a brand new leadership role of ‘Religious Education Inquiry leader K-4’. As a life long learner I see this as an amazing opportunity for personal and professional growth. The best part of being within a team is that we all share our gifts and talents with each other…..knowledge and skills are plentiful, so on those days that my L plate is way too heavy all I have to do is reach out my hand and I know that someone will help me! The last change was probably the hardest…especially as family is so precious…but recognising when the time is right for others (in this case my daughter) to encounter their own worldly adventures is priceless! Do I miss her? Very much, but I know that she is exploring the world and I’m so lucky to still have the rest of my family at home who also help me with changing gears and moving forward!! Oh, did I happen to mention my learning in Barcelona…..wait that means more change and another blog post. So until next time have fun changing gears and wearing whichever plate best describes your journey…L…P….or even full licence…. Writing in ES1 with mentor texts! Writing in ES1 takes on many forms…from drawing to experimenting with print…to writing an actual message using letters and words. 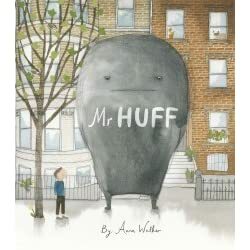 This journey for children varies immensely and to assist them on becoming the best authors and illustrators they can be we have recently been exploring some mentor texts. My mum has X-RAY VISION! While the book “Pearl Barley and Charley Parsley” helped the students to unpack what really great friends look like, sound like and make you feel. This also served a dual purpose in that it connected to the school pillars of ‘witness’, ‘manage’ and ‘relate’ to assist the students in becoming more skilled in their social interactions and building friendships. Y chart to help unpack a “really great friend”. The students used the text as a basis for creating messages informing others about “really great friends”. 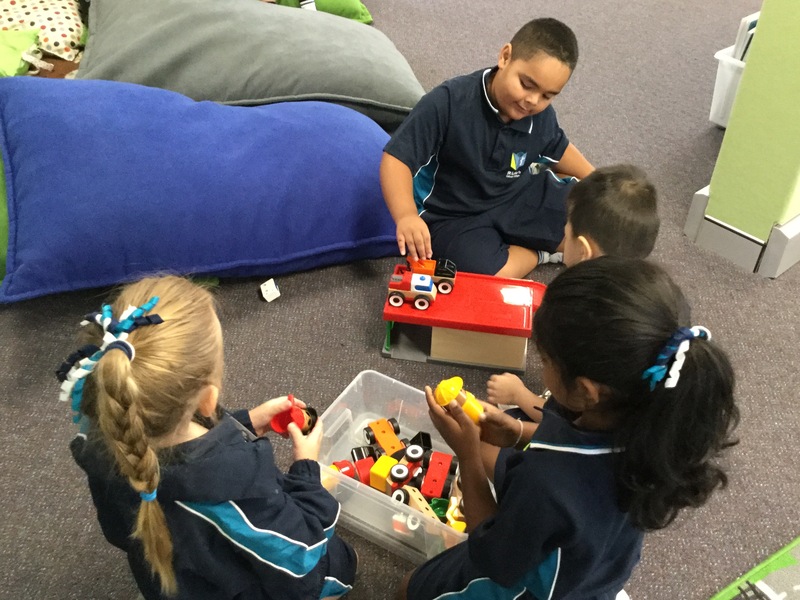 To begin the writing process the modelled writing task was based on the students response to what “really great friends” might do eg invite others to play, share their toys, help each other. This became a reference point for the students to refer back to during their own independent writing time. The students were also able to use words from around the room, the word wall, word cards and alphabet cards to support their writing. The other texts were used to explore the use of “onomatopoeia” words and these generated some very interesting messages. The students especially enjoyed “BARNYARD BOOGIE” where many different onomatopoeia words were incorporated within the text including speech bubbles. Over the space of a week the students added to a growing story about a cow during modelled and shared writing. 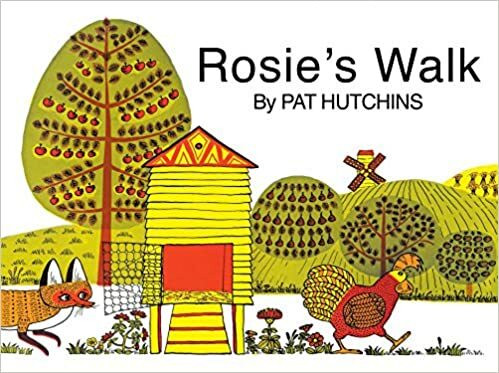 Each day we would reread the story to ensure that the next part of the message made sense. From this interest we created a list of onomatopoeia words which we continue to add to as we read more texts and this is displayed near the word wall for students to use. The exciting part of using these mentor texts was watching the students all trying to add their own message through drawings and writing. Many incorporated speech bubbles of their own and onomatopoeia words eg MOO! When I reflect on how the students have progressed with their writing since Term 1, I know they have come such a long way and yet there is still so much more to discover…each child’s journey is totally unique and with support from teachers, their peers and the wonderful mentor texts they will continue to explore and grow as writers and illustrators!! The progression from drawing, to labelling, to forming a simple sentence and then to becoming a confident writer can take a relatively short amount of time or it can take a much longer time span…what is important is the idea of seeing yourself as a writer and someone who can share a message. We need to encourage our students to take a risk and expose them to a large variety of mentor texts. 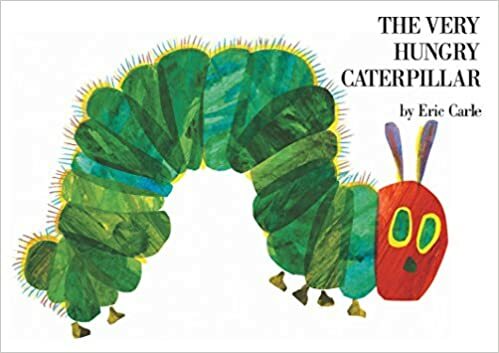 What is your favourite mentor text to share with your students?